A chip in your tooth, even if it's small, can make you feel self-conscious every time you glance in the mirror. Luckily, you don't have to live with chips and other flaws in your teeth. Dr. Jintae Park, your Reno, NV dentist, explains how veneers can help improve your smile. Veneers are also a popular choice for people who want whiter teeth but aren't satisfied with the results of teeth whitening. Whether you want to change the appearance of one tooth or all of them, veneers offer a simple way to make over your smile. What happens when I receive veneers? After your initial consultation, you'll return to the office for your first veneer appointment. During this appointment, the fronts of the teeth that will receive veneers will be filed slightly to ensure that your new veneers won't look or feel bulky. 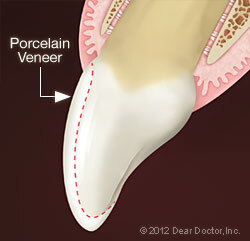 An impression of your teeth will be made and sent to the dental laboratory that will create your veneers. You'll leave the office with temporary veneers, which you'll wear until your permanent veneers are ready in about two or three weeks. When your veneers arrive, you'll return to the office for your second visit. Dr. Park will check the fit of the veneers, make any necessary adjustments and permanently apply them with dental cement. How do I care for veneers? Brushing and flossing as usual is the best way to care for your veneers. Avoid using abrasive toothpaste, as it can scratch your new veneers. Don't use your teeth as a tool to open packages, and avoid biting into very hard foods. Although veneers are tough, hard objects can chip or crack them. 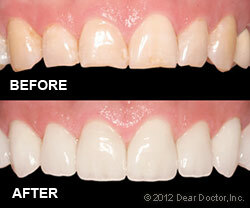 Interested in learning if veneers are a good option for you? Call JP Dental Care in Reno, NV today at (775) 853-0503 to schedule a consultation! We also serve Carson City and Sparks, NV.